Thanks to the very knowledgeable and thoughtful Miranda Samuels, WoCCA members had an insider view of the Hermès exhibition in Melbourne. 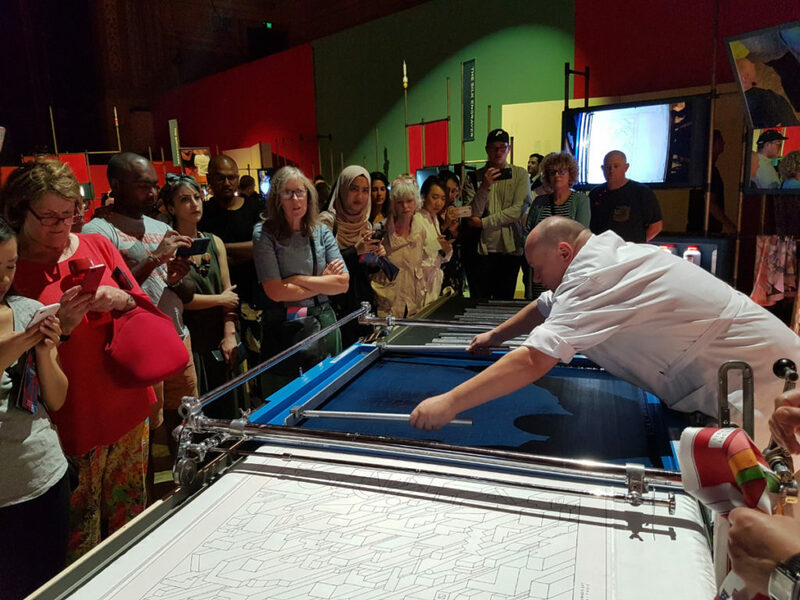 Monsieur Kamel Hamadou gave a wonderful exposition of the silkscreen printing process behind the iconic Hermès scarves, while the very skill Frederic produced a geometrically designed scarf before our eyes, with more than a dozen screens, without a blemish. We heard a long explanation of why this production is located in Lyon and the wonderful infrastructure of craft schools that ensure there is a new generation coming through to renew the tradition. 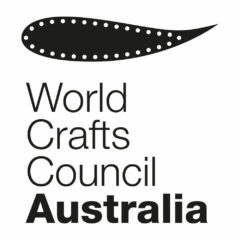 The discussion with Miranda was quite enlivening and touched on the ambivalence some Australians might feel about a luxury craft brand. We’re hoping that this Hermès tour will prompt us to consider our own heritage crafts and how we can give them a profile similar to those in France. Vive la république des métiers!